Even for someone who appears on television weekly, hosting Saturday Night Live can be a whole new world with a lot more people watching. The pressure seems to have gotten to Lena Dunham who tweeted a molestation joke only to quickly delete it and apologize. The original tweet was a response to an SNL viewer who called out Dunham for an Adam and Eve sketch in which she was naked. Dunham handled the situation very well and instead of deleting the tweet and ignoring its existence, she brought it up specifically and explained her thought process in her apology. 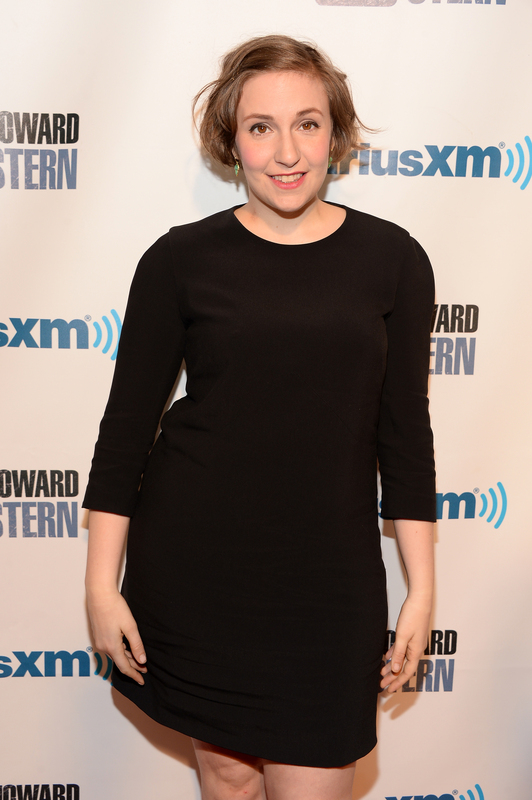 The Twitter user who saw the skit wrote to Dunham, "You don't always have to get naked." Duh! Of course she doesn't and the sketch was making fun of the fact that Dunham is often naked on Girls. It's understandable that tweets like these could get overwhelming, so Dunham decided to respond to one of them with a joke. It just maybe wasn't the best choice of joke. Dunham wrote, "Please tell that to my uncle, mister. He's been making me!" Ah, the old uncle molestation joke. A tasteless joke as old as time. Dunham soon realized the error in her ways, deleted the tweet, and wrote an apology. As you can see, Dunham says she felt overwhelmed by the "Twitter rage" and took it upon herself to respond to a critic. The apology sounds sincere and very much like herself ("a not so great molestation joke") and even includes another joke about the fact that she's naked all the time. It happens fairly often that celebrities write inappropriate tweets and then delete them apparently thinking that means it all went away. The fact that Dunham brought attention to it and apologized shows that, even if she still thinks the joke was funny, she understands that she has a massive amount of followers that might not agree. It's not about not having the freedom to say whatever you want, but rather knowing that having 1.45 million Twitter followers means your chances of offending someone are realllllly high. Her apology makes it clear that this is something she's aware of and that she cares about her fans' feelings.